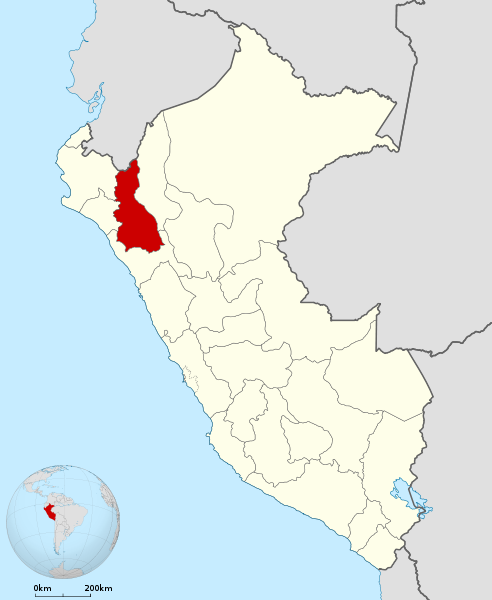 The department of Cajamarca is found located to the north of Peruvian territory, on the western chain of the Andes and covers sections of mountains and jungle. The origin of the city of Cajamarca begins approximately 3,000 years ago with the first human groups Huacaloma, Layzón, Cumbemayo, and Otuzco. The city of Cajamarca constitutes itself as the capital of the department of the same name by a Supreme Decree, given by Mariscal Ramón Castilla on February 11, 1855. On September 14th, 1986, the Organization of American States declared it as Historical and Cultural Heritage of the Americas.